+ letter C & punctuation , . You will be able to type a full sentence with a CAPITAL at the start and a full stop (period) at the end. There will be nothing to hold you back now. Use your LEFT HAND RING FINGER (No. 2) to type the letter C, moving your finger down from letter D.
​Use your RIGHT HAND RING FINGER (No. 2) to type the comma , moving your finger down from letter K.
Use your RIGHT HAND RING FINGER (No. 3) to type the full stop . moving your finger down from letter L.
Click inside the box below and practice these three movements from middle to the bottom row. IMPORTANT NOTE: Some exercises do not have actual words in them. 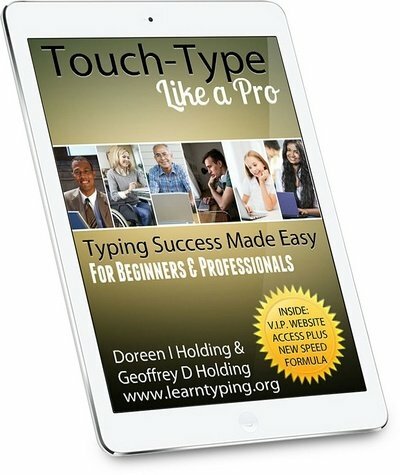 What they do have is important finger transitions (movements) that when practiced will make it easier to move automatically from one letter (number, punctuation etc.) to another without even thinking about it. You will have created motor memory! Creating motor memory from letter D to letter C.
I am at Beginner - Lesson 4 at the moment and find your course veeeeeeeeery helpful... I will let you know how I get on at the end of it. Thank you very much indeed. Type these phrases using the right little finger for the semi-colon. Press the shift key - Type the letter key - Release the shift key. For a Left Hand capital hold the RIGHT Shift key. For a Right Hand capital hold the LEFT Shift key. Hold the Left Shift key for the mainly right hand capitals in the sentences below.